The tensile thermal stress generated by laser irradiation with forced cooling is critical in the cleavage processing of thin plate glass. In this study, we predicted the conditions for generating tensile thermal stress in laser-induced cleavage of thin plate glass using numerical models from the viewpoint of the cooling and heating areas. An unsteady two-dimensional model was used to predict the temperature distribution and an unsteady plane stress model was used to predict the thermal stress. To generate tensile thermal stress, a cooling area is required behind the heating area. A specific scanning speed is required to yield the maximum tensile stress between the heating and cooling areas. A weak heat transfer coefficient in the cooling area generates tensile thermal stress only in the direction perpendicular to (y direction) the scanning direction of the heat source (x direction). A strong heat transfer coefficient generates tensile thermal stress in both the x and y directions. These tensile thermal stresses are surrounded by horseshoe-shaped compressive thermal stress. The tensile thermal stress can be controlled by selecting an appropriate cooling method for the cooling area. A. Chiba, S. Matsusaka, H. Hidai, and N. Morita, “Prediction of the Tensile Thermal Stress Generation Conditions for Laser Irradiation of Thin Plate Glass with Forced Cooling Based on the Plane Stress Model,” Int. J. Automation Technol., Vol.12, No.4, pp. 590-602, 2018. F. Motomura, “Micro Drilling Simulation of Ultra-Short Pulsed Laser Ablation of Glass,” Int. J. Automation Technol., Vol.9, No.4, pp. 418-424, 2015. R. Shinomoto, Y. Ito, T. Kizaki, K. Tatsukoshi, Y. Fukasawa, K. Nagato, N. Sugita, and M. Mitsuishi, “Experimental Analysis of Glass Drilling with Ultrashort Pulse Lasers,” Int. J. Automation Technol., Vol.10, No.6, pp. 863-873, 2016. Y. Okamoto, H. Yamamoto, and A. Okada, “Characteristics of Spatter in Micro-Drilling of Metal Sheet by Pulsed Nd:YAG Laser,” Int. J. Automation Technol., Vol.10, No.6, pp. 874-881, 2016. H. Hidai, T. Iwamoto, S. Matsusaka, A. Chiba, T. Kishi, and N. Morita, “Selective Component Nanoparticle Precipitation from Invar 42 during Metal Particle Migration by Laser Irradiation in Silica Glass,” J. of Experimental Nanoscience, pp. 263-269, doi:10.1080/17458080.2017.1319082, 2017. H. Hidai, J. Wada, T. Iwamoto, S. Matsusaka, A. Chiba, T. Kishi, and N. Morita, “Experimental and theoretical study on the driving force and glass flow by laser-induced metal sphere migration in glass,” Scientific Reports, Vol.6, Article No.38545, doi:10.1038/srep38545, 2016. H. Hidai, Y. Kuroki, S. Matsusaka, A. Chiba, and N. Morita, “Curved drilling via inner hole laser reflection,” Precision Engineering, Vol.46, pp. 96-103, 2016. A. Matsushita, M. Yamanaka, S. Kaneko, H. Ohfuji, and K. Fukuda, “Basic Image Measurement for Laser Welding Robot Motion Control,” Int. J. Automation Technol., Vol.3, No.2, pp. 136-143, 2009. S.-F. Tseng, W.-T. Hsiao, K.-C. Huang, C.-Y. Huang, and C.-P. Chou, “Investigation of Profile Cutting on Glass Plates Using a Pulsed UV Laser System,” Int. J. Automation Technol., Vol.5, No.3, pp. 270-276, 2011. 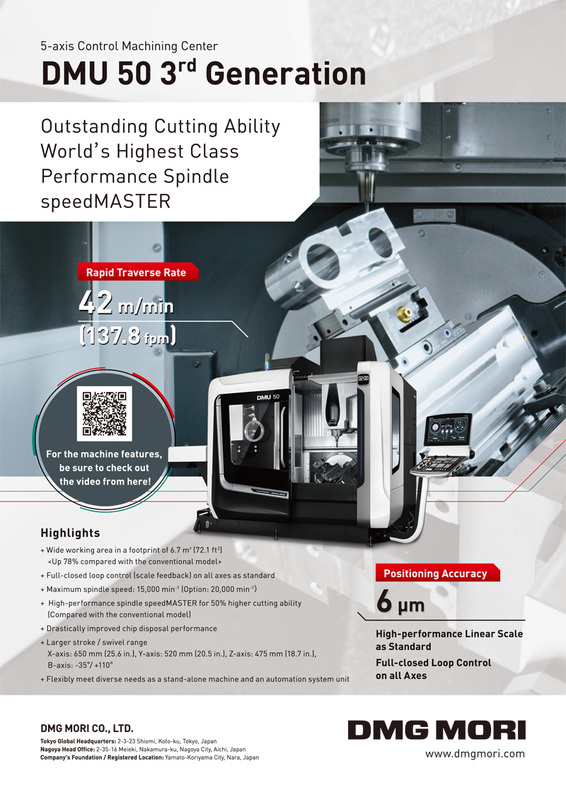 D. Suzuki, F. Itoigawa, K. Kawata, and T. Nakamura, “Using Pulse Laser Processing to Shape Cutting Edge of PcBN Tool for High-Precision Turning of Hardened Steel,” Int. J. Automation Technol., Vol.7, No.3, pp. 337-344, 2013. A. Chiba, H. Hidai, S. Matsusaka, and N. Morita, “Dynamic Thermoelastic Behavior in Sheet Glass Generated by Pulsed Laser Irradiation Using a One-Dimensional Model,” Int. J. Automation Technol., Vol.8, No.6, pp. 847-854, 2014. Y. Aono, W. Shinohara, and H. Tokura, “Laser Modification of Silicon and Borosilicate Glass Wettability for Micro-Fluidic Systems,” Int. J. Automation Technol., Vol.9, No.6, pp. 668-673, 2015. N. Seto and H. Sato, “Deposition Conditions for Laser Formation Processes with Filler Wire,” Int. J. Automation Technol., Vol.10, No.6, pp. 899-908, 2016. K. Yahata, E. Ohmura, S. Shimizu, and M. Murakami, “Boundary Element Analysis of Crack Propagation in Laser Scribing of Glass,” J. Laser Micro/Nanoengineering, Vol.8, No.1, pp. 102-109, 2013. F. Yoshino, L. Shah, M. Fermann, A. Arai, and Y. Uehara, “Micromachining with a High Repetition Rate Femtosecond Fiber Laser,” J. Laser Micro/Nanoengineering, Vol.3, No.3, pp. 157-162, 2008. F. Yoshino, J. Bovatsek, A. Arai, Y. Uehara, Z. Liu, and G. Cho, “High Energy-High Repetition Rate Fiber Laser System for Precision Micromachining with Fundamental and Second Harmonic Wavelengths,” J. Laser Micro/Nanoengineering, Vol.1, No.3, pp. 258-263, 2006. K. Yamamoto, N. Hasaka, H. Morita, and E. Ohmura, “Three-dimensional thermal stress analysis on laser scribing of glass,” Precision Engineering, Vol.32, Issue 4, pp. 301-308, 2008. K. Yamada, T. Maeda, T. Iwai, K. Sekiya, and R. Tanaka, “Photoelastic observation of stress distributions in laser cleaving of glass substrates,” Precision Engineering, Vol.47, pp. 333-343, 2017. S. Matsusaka, Y. Mihara, A. Chiba, H. Hidai and N. Morita, “Laser Joining of Glass Substrates using Low Melting Point Insert Glass,” J. Japan Soc. Precis. Eng., Vol.81, No.4, pp. 349-355, 2015. A. Chiba, K. Ota, E. Hoshino, T. Ogawa, and S. Okazaki, “Thermal In-Plane Distortion Model of Mask for Extreme Ultraviolet Lithography during Periodic Scanning Exposure,” Jpn. J. Appl. Phys., Vol.41, pp. 4091-4100, 2002. A. Chiba, M. Sugawara, H. Yamanashi, and I. Nishiyama, “Heat Sink Dependency of Mask In-Plane Displacement for Extreme Ultraviolet Lithography,” Jpn. J. Appl. Phys., Vol.42, pp. 3784-3791, 2003. R. Hasegawa, S. Matsusaka, H. Hidai, A. Chiba, N. Morita, T. Onuma, “In-process estimation of fracture surface morphology during wheel scribing of a glass sheet by high-speed photoelastic observation,” Prec. Eng., Vol.48, pp. 164-171, 2017.